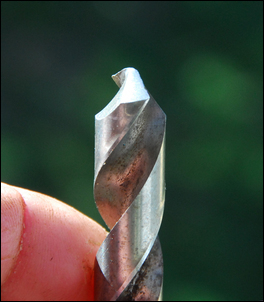 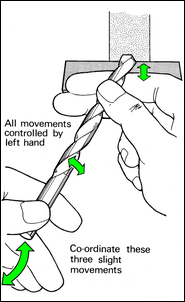 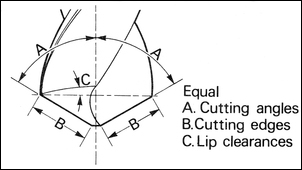 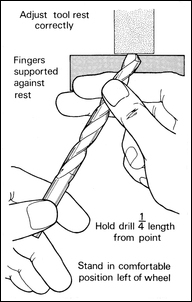 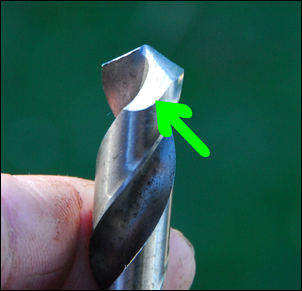 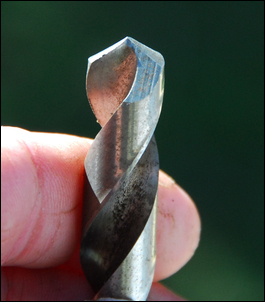 Rotate the drill bit in your fingers until you can look at the ‘ramp’ behind one of the two cutting lips. 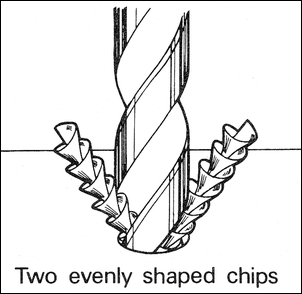 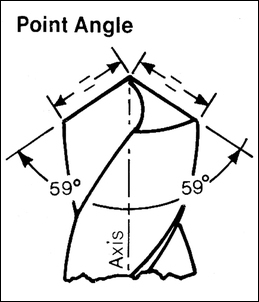 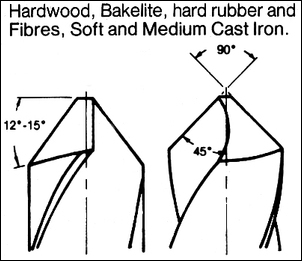 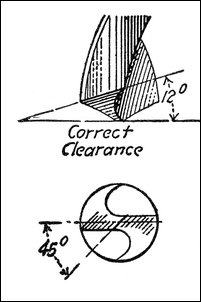 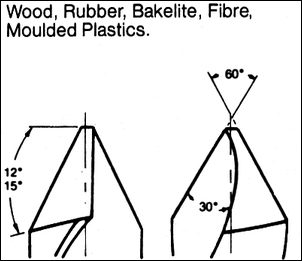 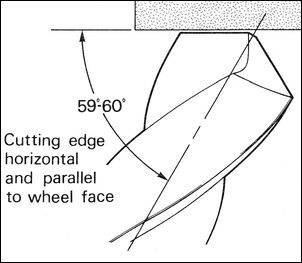 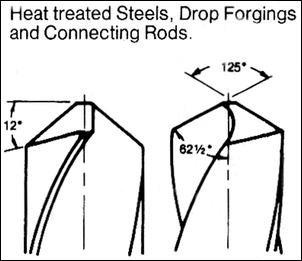 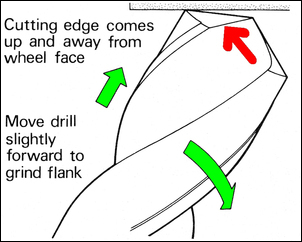 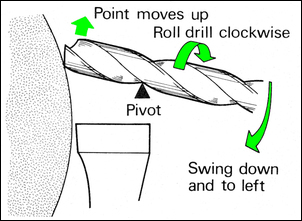 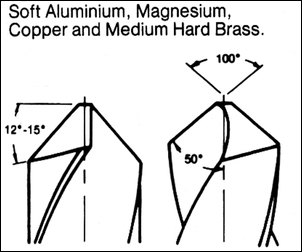 If the drill bit is held vertically, the edge of the ramp forms an angle with the short axis of about 12 – 15 degrees. 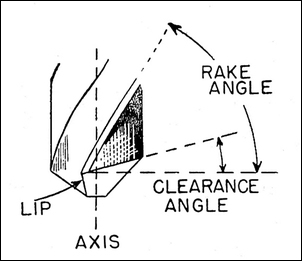 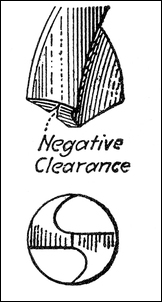 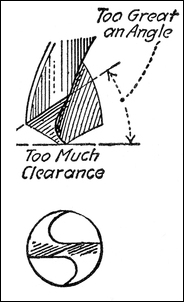 This is called the clearance angle.